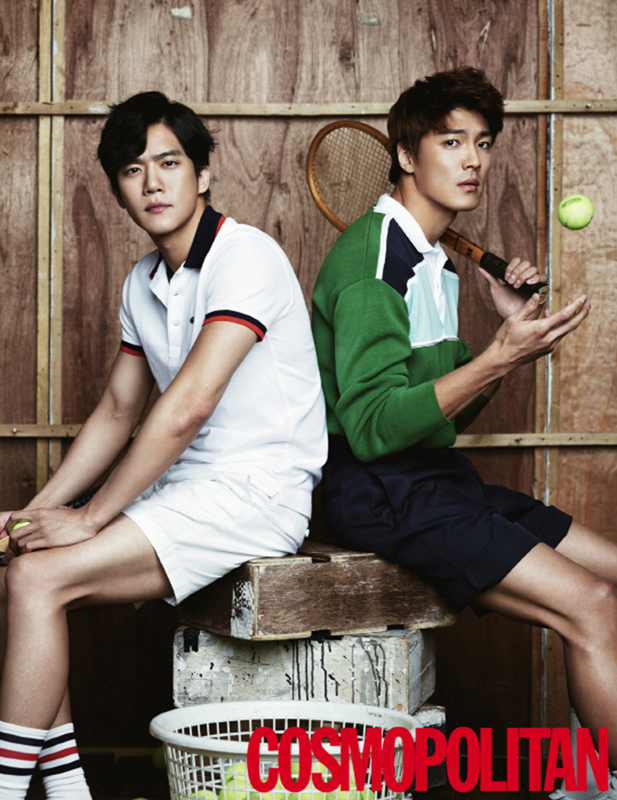 Tennis is the ideal sport for K-drama actors, because you get a good work out and remain fashionable at the same time. Here are some examples of attractive people using the court as their own personal runway. Bae Doo Na may look like she is just casually resting her leg on the net, but with the intimidating stare, she is clearly marking her territory. Here are Lee Jin Wook and Kim Ji Suk wearing tennis outfits that will guarantee heat stroke. Lee Jin Wook is succeeding at remaining incognito, since I barely recognize him in this photo. Choi Yeo Jin will be a formidable opponent if she can play in those heels, and look good doing it. Finally, two people who look ready to play a tennis match. Unfortunately, Lee Jae Yoon and Ha Suk Jin look like they may be in a basement or inside a wooden box. What a waste of a pair of good outfits. No wonder LJY and HSJ look so sad–playing tennis in a damp basement is a bummer! Plus their mom is gonna be ticked that they stole the laundry basket for the tennis balls! Lol!